www.mooresecurity.co.uk Moore Security Systems Ltd, Company Number:11344565 “THE COMPANY” is the organisation responsible for the installation, and/or maintenance of the installation which is the subject of this CONTRACT, sometimes referred to as “our” or “we” in these Terms and Conditions. ii) Following a link provided through the e-mail sent by a COMPANY representative and the CUSTOMER signing the order form the QUOTATION and / or SPECIFICATION sheet via Signable. By Signing the CUSTOMER accepts the Terms and Conditions , along with other requirements defined in the QUOTATION and / or SPECIFICATION sheet. iii) the installation work is outside the working hours of 8.00am to 6.00pm Monday to Friday except statutory holidays. Requests made by the CUSTOMER to install outside these working hours will incur additional charges. 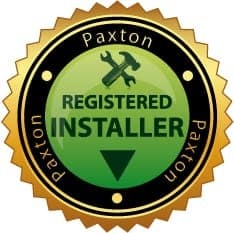 iii) We agree that, if any of our installation workmanship is found faulty within the first four weeks, it will be repaired or replaced at the company’s expense, including call-out, provided you let us know as soon as the fault occurs. Maintenance/repairs/troubleshooting (On-PREMISES) after the expiration of first four week period will be charged. iii) If you cancel our CONTRACT less than a week (5 working days) before the scheduled installation date, we may charge you for any equipment we have bought for your PREMISES and make a reasonable charge for damages for breach of CONTRACT. However, a general cancellation fee of a minimum £150 or 7% of the contracted amount, whichever is greater, shall be charged. All products are sold as new. We guarantee all our products to be free of defects in workmanship and material for 1 year, unless otherwise specified, from the day CUSTOMERs receive their order. We will replace items providing there is no evidence of CUSTOMER misuse or alteration. The COMPANY cannot be held liable for CLIENT IT issues such as change of router, failed connection, change of Internet service provider, reset of router, nem mobile phone, loss of settings on the router or a new operating system. i) The COMPANY shall not be liable for the costs of any work, repairs or replacement of equipment which results from fire, electrical power surge, water, storm, flood or any acts of nature, accident, neglect, misuse or malicious damage. Your security product(s) are warranted against mechanical failure for up to one (1) year from the date of purchase unless specifically noted below. Should your product prove defective, please get in touch with Moore Security Systems Ltd on 01455 698958 or info@mooresecuritysystems.co.uk for repair or replacement. Moore Security Systems Ltd has the sole discretion for granting a new replacement or a certified refurbished product. Warranty does not cover general wear and tear, acts of nature, vandalism or accidental damage & tampering.